and enhancing centerpieces. At that point, all I could think of was making lots of pretty bows in shades of purple and gold! But then I received an offer from Oriental Trading to partner with them - they would send me their product (my choice) if I would do a blog post about my experience. How cool is that? Thank you Oriental Trading! Putting a candy buffet together was so much fun and Oriental Trading makes it easy by offering everything you need from their party supplies to create the perfect theme party, including a huge assortment of bulk candy and everything else you might desire. No more running around here and there looking for purple candy! I chose the Purple Candy Buffet Assortment! It's a purple candy lover's dream come true! This astounding group of treats included purple rock candy pops, purple gum balls, purple salt water taffy, bright purple swirl pops, purple butter mints, shimmering lavender chocolates, and purple candy sticks. 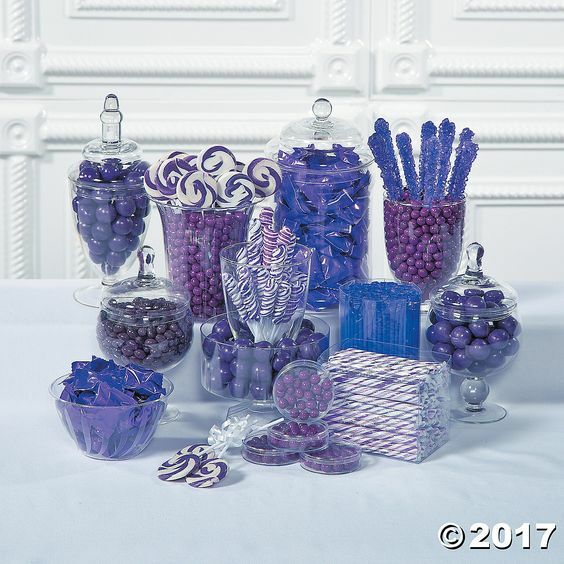 I also order a few additional items like gold foil wrapped hard candy, purple heart candy, purple foiled chocolate kisses, white almonds and white lollipops.
. . . creating a fun and exciting display that included an eye popping purple, gold and white candy buffet and a bow ribbon backdrop and balloons galore! 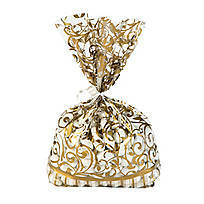 And also available - gold swirl cellophane favor bags for the teens to fill and take home! So cool! Even though I had containers and scoops from previous get-togethers, Oriental Trading offers those in a variety of styles and colors, too! And, besides the food and dessert . . .
we all know that the best parties are the ones where everyone is dancing! And a Sweet Sixteen Dance Party is no exception. 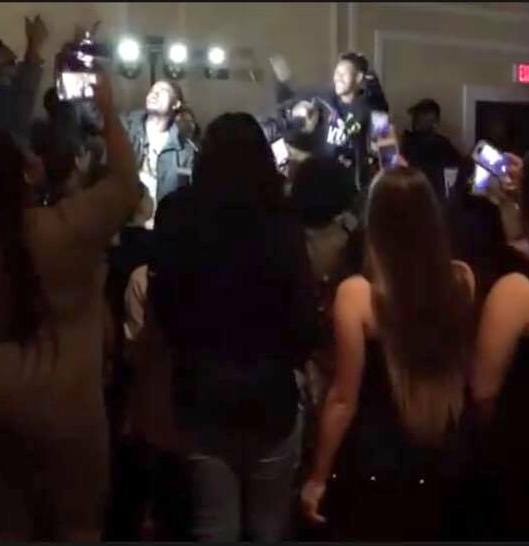 To keep the party going, there was a DJ blasting out favorite teen lyrics and tunes, featured rappers, along with those crazy dance moves all the teens are into these days! OMG! 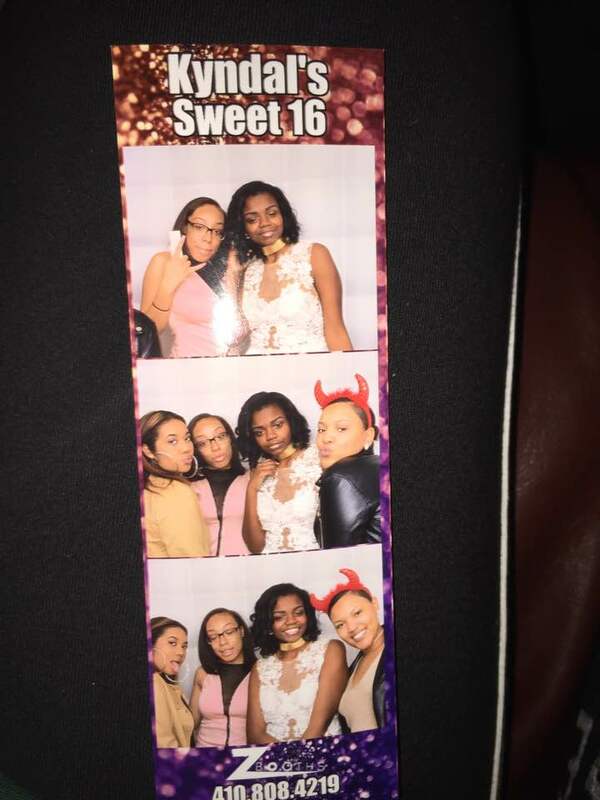 A photo booth was also available to capture exciting moments! My niece, Kyndal (in white), with her BFFs! And having a lovely candy buffet for the teens surely kept the energy level pumped and elevated! I had no idea Oriental Trading company had sweets! You did a wonderful job pulling it all together. I bet the candy bar was a huge hit! This is so cool- I would've loved having a party for my sixteenth! This was a very elaborate part! That's so nice how Oriental Trading Co. was able to offer you things you could add to the party! Your bow wreath looked fabulous! Looks like the party was a big success! What a fun and awesome candy bar, I can imagine everyone loved it so much! Love the colours you chose! Thank you so much for sharing this weekend at our Sweet Inspiration Linky! Wow....what a great party you helped with. I wish I was at that candy bar!!! You have a beautiful niece Gail! Very pretty and such a fun party. Love the colors! Candy bars and photo booths are the rage, People love them. Thanks for sharing a sweet party. Oh wow Gail you certainly have been busy. What a fun party and of course it had to have purple! Happy Birthday to your sweet neice.